A visit to the Sepe Nerja donkey sanctuary should be on the list of places to see for anyone staying in the Axarquia area. It is an ideal place to while away an hour or so and if you visit on a Saturday morning then children get the chance to help-out with the daily chores for the animals (supervised of course). Now in its second year the Nerja donkey sanctuary is run by a team of unpaid volunteers and during that time it has helped to provided shelter and a safe home for many donkeys, horses and mules as well as other abandoned animals such as dogs. 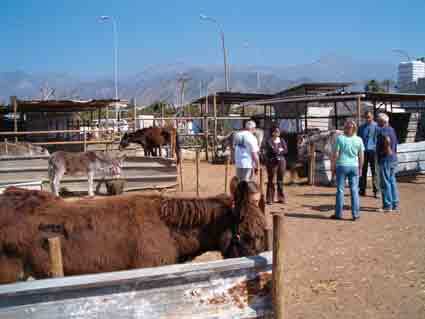 All of the animals at the Nerja donkey sanctuary come from the local Axarquia area. 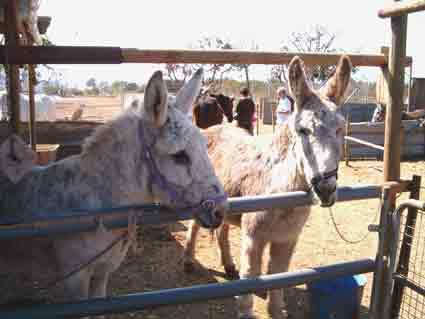 Although many of the animals arrive at the sanctuary needing medical attention not all are abandoned or mistreated. In fact many of the animals arrive via local farmers and land owners who find themselves with a working animal that has reached retirement age. Unable to afford the upkeep of such an animal the owners then contact the sanctuary requesting a place for them to see out there remaining years. The sanctuary never refuses to take an animal in to its care and never charges the owner for taking the animal. In fact the sanctuary survives solely on donations from the public and local businesses and of course the volunteers who generously give their time for free. 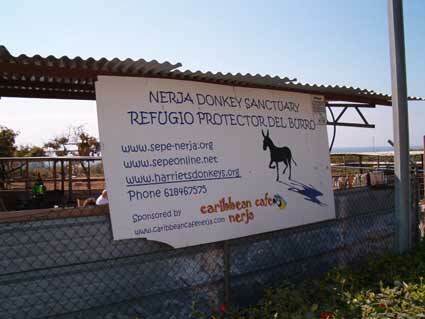 You can find out more about the great work being carried out by visiting the Sepe-Nerja Donkey Sanctuary website including details on how to sponsor a donkey. The sanctuary is located on the N340a on the east side of Nerja. Opening Times: 365 days a year 10a.m. - 2p.m. Parking: It is possible to park directly outside the sanctuary although spaces are limited.